Boulder shoulders aren't built without risk, however. To avoid injury and get the most out of your training, the proper programming, warm-up and technique is essential. 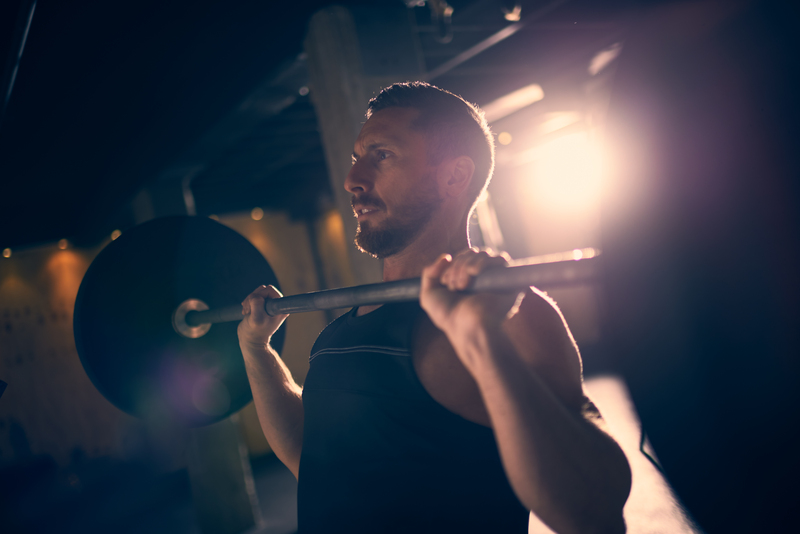 Compound lifts should frequently feature in your shoulder training plan, believes Adam Bishop, strength & conditioning coach at London rugby club Harlequins. Bishop is also a professional strongman, having competed in World's Strongest Man. "You need to utilise multi-joint movements. These are key for a building a big rounded shoulder. Good examples are military presses, dumbbell presses - both seated or standing." Working from many joints at once increases the number of muscle fibres that are recruited with each exercise, effectively allowing you to overload the muscle. A compound lift such as the military press also burns a great deal of calories in the process, vital if you're also trying to get lean and increase your fitness. Bishop is responsible for putting together training programmes for the likes of England internationals Chris Robshaw, Danny Care and Mike Brown. 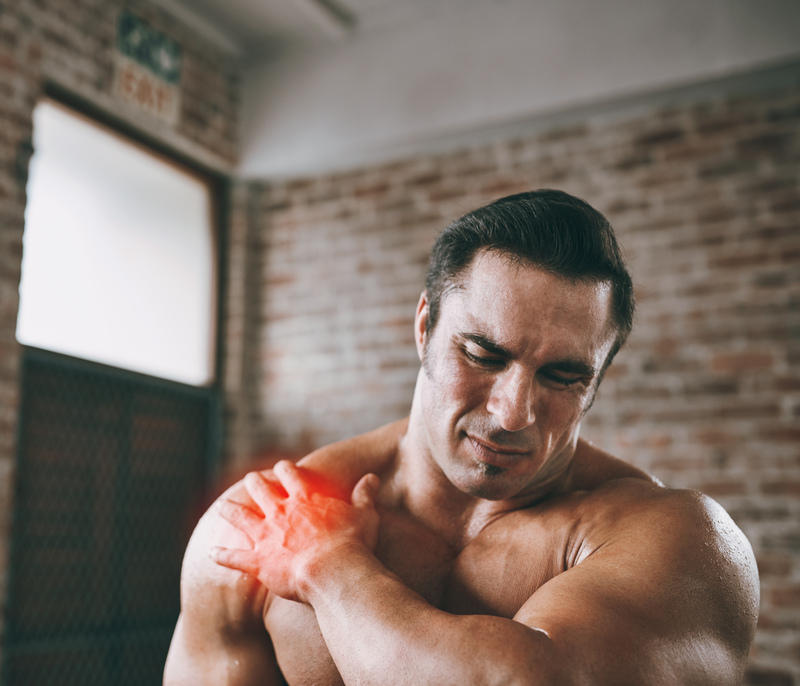 "After your compound lifts, then you should move into more isolation movements, where you target the deltoids (shoulder muscles) in three ways. "This is because the shoulder is comprised of three heads; the anterior (front) delt, medial (middle) and posterior (rear). Working all three is essential for getting bigger, round shoulders. 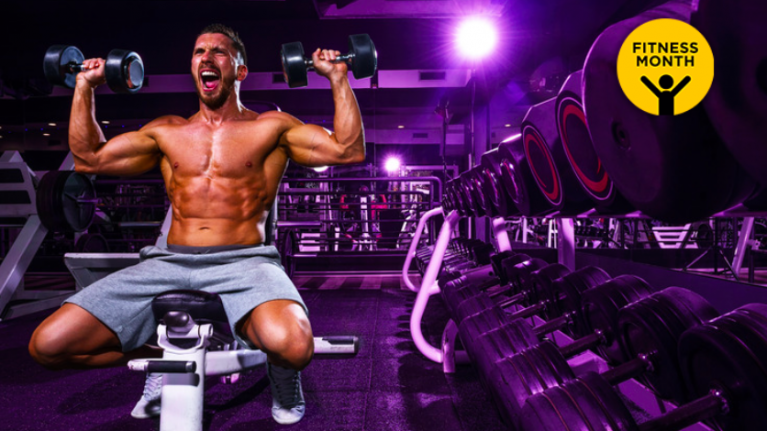 "Exercises such as side lateral raises can isolate the front and middle heads of the shoulder, whereas flye movements (such as the prone flye) produce the same results for your rear delts." The benefits of having bigger shoulders go far beyond aesthetics alone. "Shoulder training builds all-round strength and stability so you can lift overhead. You need a lot of shoulder stability in rugby and in general. "The shoulder is a very unstable, ball-and-socket joint. More muscle mass in that area means greater stability in your pressing and general strength." Such is the vulnerability of the shoulder joint, mistakes are all-too-common. Bishop's advice will steer you clear of the treatment table. "Muscle growth is gained by work load. Lifting heavy loads through a full range of motion is best, but can also be an injury risk. "Don't make the mistake many do when training shoulders in chasing big numbers. "Most injuries are caused by lifting too much load with reduced range of motion. Leave the ego at the door and use lighter weights if necessary." Although Bishop recommends prioritising compound lifts, you can manipulate your order of exercises when on an advanced routine. "Pre-exhaust and pre fatigue could work for muscle growth. "This is achieved by training an isolation exercise for sets of 10 prior to your compound lifts. The lighter loads get a lot of blood into the shoulder muscles before much heavier pressing." There is a definite link between strength and size, although different training styles can make it seem as if the two are further apart. 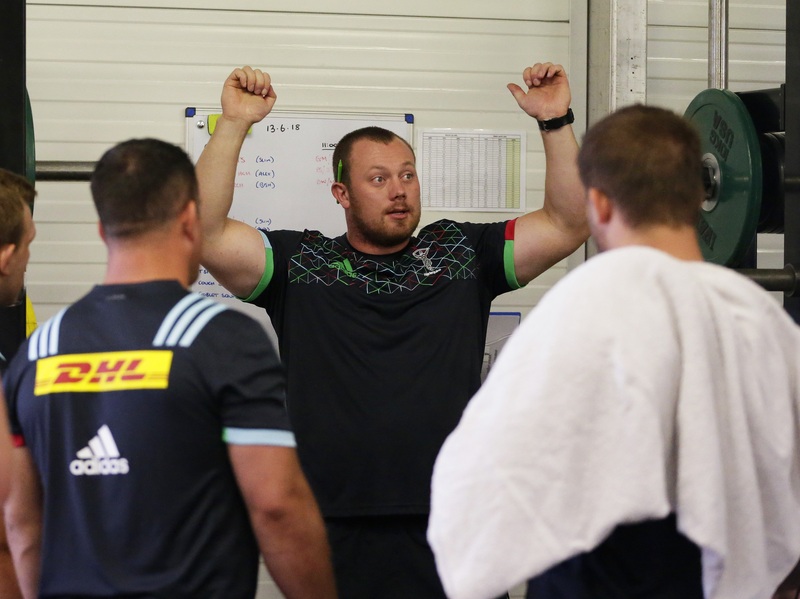 Bishop has set particular strength standards in place with the Harlequins players. "For working sets, we aim for six reps with the equivalent of 60% bodyweight. "So for a 100kg guy, this would work out as six reps with a total volume of 60kg. Two 30kg dumbbells would achieve this." "Track your load and take your time. A 2.5kg increase in 10 weeks is really good, and it's also a smart, achievable goal. "Thinking you could add 20 kilos in this time would be a bit of a mistake and again potentially lead to injury." Training your shoulders twice a week should provide sufficient volume for those boulder shoulders to grow.